These glossy red jewels are rosehips, and you can find them in abundance in the hedgerows right now. A bit tricky to pick from their spiky bush and things can get a little sticky, but totally worth it for the beautiful red syrup you can make from them, bursting with vitamin C.
Rosehips are one of the richest plant sources of vitamin C, great for warding off colds and flu at this time of year. The brilliant red colour shows that the berry is packed full of lycopene (also found in tomatoes), a powerful antioxidant. 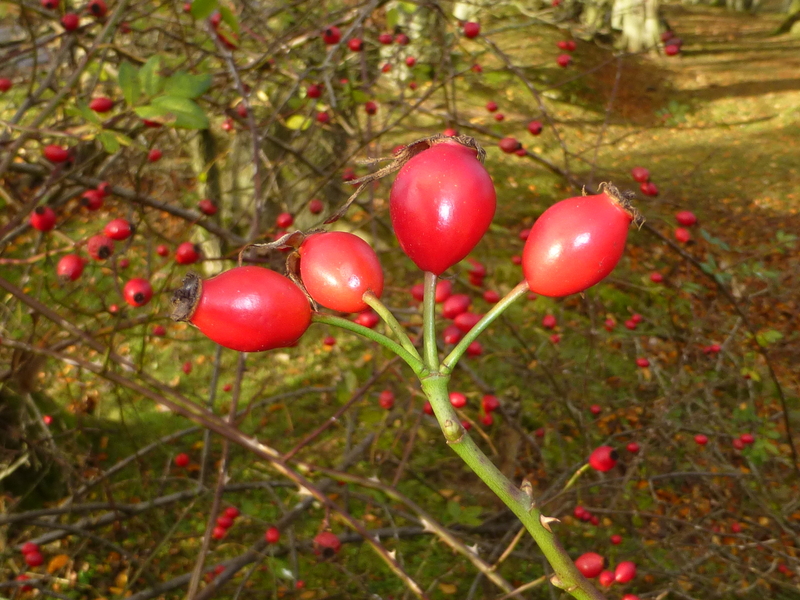 Rosehips are used in a supplement for rheumatoid arthritis because of anti-inflammatory and antioxidant properties, reducing pain and swelling. 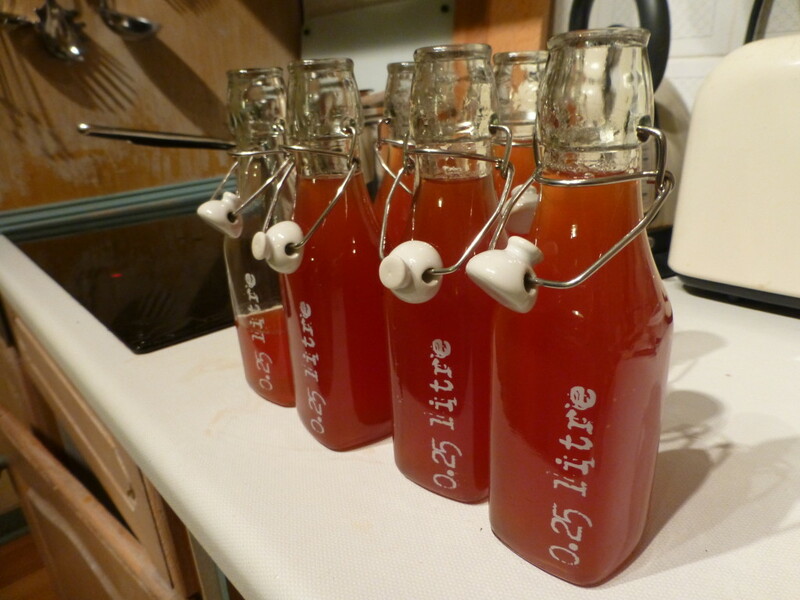 Decant into the prepared bottles or jars and seal. Use within 4 months and pop in the fridge once opened. I put some on my porridge this morning. It’s also great drizzled on pancakes, yoghurt, puddings and icecream – go boost your vitamin C and get out in the countryside! Posted in Good foods, Recipes and tagged antioxidant, food, health, lycopene, nutrition, rosehips, vitamin C.
Tasting with friends went down very well – we also had a naming competition, we came up with……..